In sales, you can be as busy as you want to be, and the busier you are, the less time you have to stop and reflect; yet, it’s important — even essential — to take stock of your successes and failures, which is why a comprehensive sales retrospective is a productive way to start the new year. 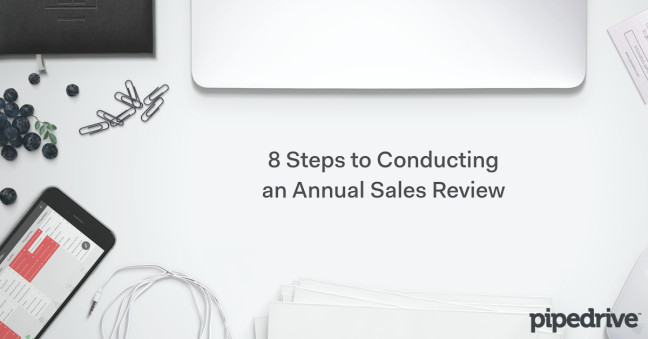 “The goal of a sales retrospective is to figure out where you can streamline areas of your process, find out what worked and what didn't, and where you can improve,” says Max Altschuler, CEO of Sales Hacker and author of Hacking Sales. Similar to the way software development teams conduct agile retrospectives to learn how to become more effective, sales retrospectives involve mining the last 12 months of sales operations for insight, and translating that insight into an improvement plan for the coming sales year. For a sales retrospective to provide any value, those involved must be willing to acknowledge mistakes, inadequacies and failures, both at an individual and companywide level. This can quickly lead to finger-pointing and ineffective bickering, so it’s important that the sales retrospective be framed as a positive event. This is about learning, not blaming. This is about the past and the future. This is a safe haven where everyone involved can speak their mind without negative repercussions. By properly framing the event, a sales retrospective doesn’t just spearhead continual improvement, it cultivates a more trusting and supportive sales team. Remember also that there are successes outside the sales process itself. Did you cooperate with management? Did the sales team work as a cohesive unit? Did you master your CRM? No need to sugarcoat this part of the process. Things go wrong, people make bad decisions, and teams fall short of their goals. But those that don’t learn from history are doomed to repeat it, so make sure the history is accurately chronicled. Again, specificity is key. “I didn’t close as many deals as I wanted to” is a good place to start, but losing deals is a result, not an action. To gain a better understanding of your failures, identify what actions led to the given result. As they did with their successes, everyone should also keep a list of their failures for later reference. In what industry were your biggest wins? In what industry were your biggest losses? How long did it take to separate the deals from the duds? What percentage of your monthly prospects led to won deals? Was your follow-up process as efficient as it could have been? After discussing the successes and failures of the last year, it’s time to consolidate everyone’s answers and organize them hierarchically. Which areas are in most need of improvement? Which areas are in least need of improvement? Perhaps a whopping 95% of the sales team spent too much time chasing big deals, while only 15% failed to identify their buyer’s true needs. Maybe 92% had buyers make multiple purchases, while only 10% managed to shorten their average call time. Now you know which areas to invest the most time and energy into improving. After everyone’s successes and failures have been consolidated and organized, the learning can begin. The first step toward improvement is to identify the root cause of any given success or failure. This can be done by turning the what into a why. What: Multiple customers rejected my work. Why: I did not clearly articulate what we could deliver. What: I struggled to gain the buyer’s trust. Why: I made false assumptions about the buyer’s needs. What: I gave away too many discounts. Why: I was too nice to the buyer and avoided healthy conflict. What: I failed to connect with buyers in a particular industry. Why: I did not tailor your messaging to that particular industry. Now it's time to figure out your why. By now you and your team should be looking at a massive white board filled with successes, failures and the root causes of those successes and failures. To fully establish what was learned, engage in a little linguistic rearranging. By developing a more holistic understanding of the customer’s needs during the initial conversation, I can increase the likelihood of obtaining a face-to-face meeting. By focusing on the activity rather than the result, I can increase the likelihood of consistently meeting my daily sales goals. After establishing what was learned, all that’s left to do is identify the actions people can take to improve their shortcomings. If your team learned that by developing a more holistic understanding of the customer’s needs during the initial conversation, they can increase the likelihood of obtaining a face-to-face meeting. One action they can take is to practice active listening. If your team learned that by focusing on the activity rather than the result, they can increase the likelihood of consistently meeting their daily sales goals. One action they can take is to use a sales pipeline calculator to establish which activities are necessary to the sales process. If you conduct a comprehensive sales retrospective, you and your sales team can use the past to improve the future. Identifying, organizing and understanding the root causes of your team’s successes and failures will help determine what worked and what didn’t, and how to improve. If done well, everyone should walk away from the retrospective feeling confident about the future, and more appreciative of each other. Want more tips on finding root causes? Product Manager Caleb Donegan shares his insight.